Precise processing for external groove, such as external sealing ring of shafts and cylinder. Through changing rolling wheel shape, the tool may process external diameter with large size, prick, end, and R section. Precision inner groove rolling process for inner hole, used on lathe, such as inner groove sealing ring of oil cylinder. By changing the shape of the roller, the groove of different shapes and the end face of inner diameter can be processed, such as inner sealing groove surface, R surface (inner R and outer R), inclined surface and so on for burnishing rolling. This tool can be used on general lathes, CNC series machine tools, processing centers and other equipment. It is applicable to the processing of outer groove and inner groove of all kinds of metal parts with hardness less than HRC40. Machining scope: the minimum groove width is 1.0mm, the groove depth is less than 20MM, the outer groove width is unlimited, and the hole diameter of the inner hole is greater than 25mm. After one-time processing, the surface roughness of the parts can reach ra0.2um. It can also be customized according to user requirements and machine tool specifications. 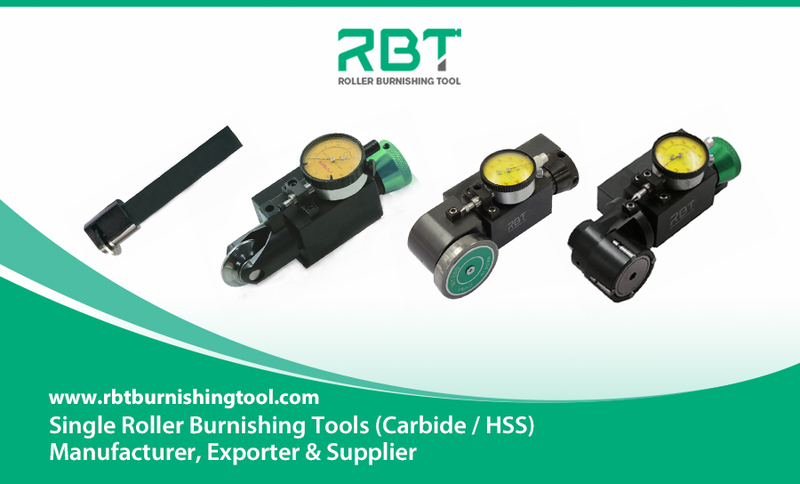 Select the appropriate external groove single roller burnishing tools and internal groove single roller burnishing tools, and attach the tool mounting clamping part to the tool holder of the machine tool equipment. Make tool head fit with workpiece axis and groove center. 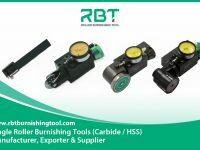 The design of external groove single roller burnishing tools is equipped with a spring pressure regulating device, whose floating range is between 0.2mm and 0.4mm. For the best effect, please choose the appropriate roll pressure. 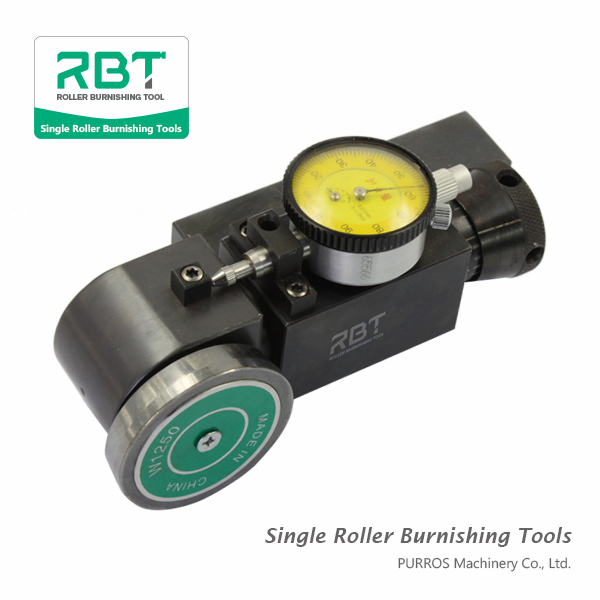 How to use groove single roller burnishing tool? 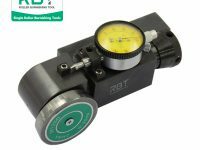 External groove single roller tool with built-in pressure regulator (with elastic force). It is installed on the lathe for precision processing in the external groove, and is often used for shaft, cylinder seal ring and other processing. Groove single roller tool can process the shape of different grooves by changing the shape of the wheel, such as outer sealing groove surface, R surface (inner R and outer R), inclined surface and so on. Select the suitable outer groove rolling tool or inner groove rolling tool, and install the tool mounting clamping part on the tool holder of the machine tool equipment. The outer groove rolling tool design is equipped with a spring pressure regulating device, whose floating range is between 0.2mm ~ 0.4mm.